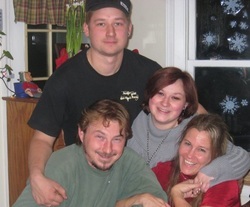 Amanda with her brothers, Matt & Mark, and future sister-in-law Dawn. Amanda joined our team in October 2015. In addition to working at Oasis Massage, Amanda is an ItWorks distributor and a talented singer.